Psst! Have you heard that there is a new scooter in town? He is very cool, very stylish, very street and totally unique. And best of all....he's from Micro Scooters, so you know you are in safe hands. 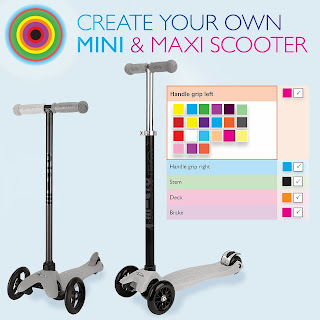 After much cajoling, many requests and just a little bit of tickling, Micro Scooters have finally launched their new bespoke service - Create your own Mini or Maxi Scooter! For the first time ever you get to choose every part of your scooter, from each of the handles, to the stem, the deck and mud guard. We have been lucky enough to road test one the very first models and here it is! See the adoring look on his face? I can't actually tell you how long it took us to settle on this design - lets just say the discussion was heated and involved the entire family. We did have a lot of fun with it though. Anyway, clearly I won this battle. Baxter had recently outgrown his Mini Micro, (to be fair he had used it every day for the past 18 months), and was getting increasingly annoyed about his scooterless status - especially seeing as there's a skate park right outside his new school. So as you can see he is pretty happy with the new addition to our scooter family. We're obviously big fans of Micro Scooters in this house. We've tried and tested plenty of other models over the years but these are without doubt the ones I would recommend to anyone looking for a scooter that will pass the test of time, be loved by their kids and look damn good to boot. (They also don't deafen you with a clackity, clackity, clackity sound as you travel down the street together. This guy is smoooooth). As if all that wasn't good enough Micro Scooters have outdone themselves with some incredible ideas I'm here to share with you. First up my absolute favourite: Scooter Aid. 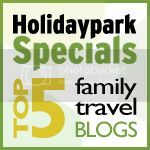 If you have an old or broken Micro Scooter or are planning on upgrading your kids scooter at Christmas then you need to know about this initiative. Basically Micro Scooter are revamping all our old scooters and sending them to not-so-fortunate kids in the UK and Africa. 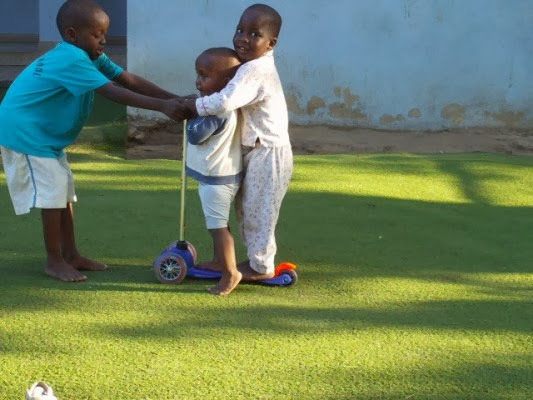 You only have to take one look at these kids in an orphanage in Africa to see what an amazing idea this is. Getting involved in incredibly easy so do pop over and share the info with everyone you know. So, if you're here wondering whether you should go ahead and buy a Micro Scooter or not, all I can say is DO IT!! Disclaimer: This post is a review of Micro Scooter Create your own Maxi Scooter. The scooter was supplied free of charge for the purposes of the review. All words and opinions are my own.